Here is the first pair of bottoms from my newest mini capsule. 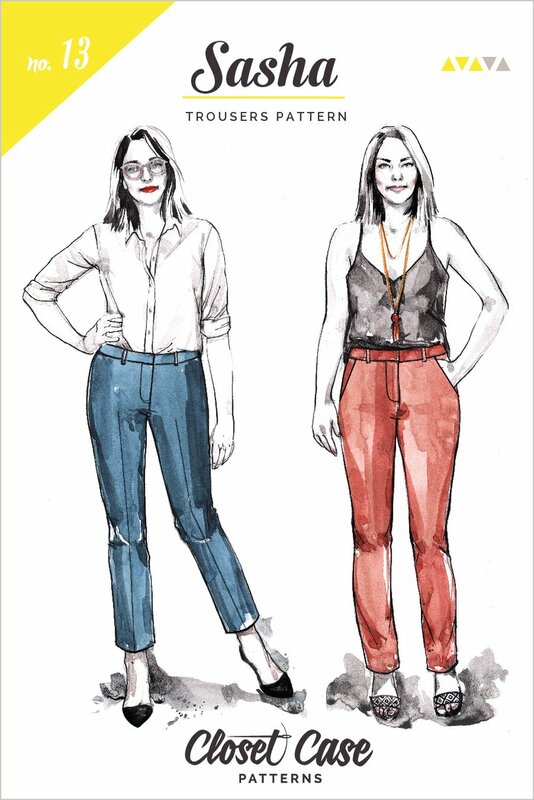 These are the Sasha Trousers by Closet Case Patterns. I have had the pattern, the fabric, and all the notions set aside for this pattern since my sewing retreat last January. I am so mad at myself for not making these sooner. These are truly an unsung hero of the sewing world. I have never in my life worn a more comfortable pair of trousers. These things are amazing! My measurements put me in between a Closet Case 10 and 12 for pants. Because there is 20% stretch required for these goodies, I decided to size down to the 10. I’m very glad that I did as they fit without hardly any alterations. I did lower the center front rise by 2” going to nothing at center back and then shortened the legs by 4” (I do this in all my Closet Case patterns). Other than that, these are sewn as drafted! I made the cropped version, but added the pockets and back welt pockets as well. These are truly a classic pair of trousers. I made these using a stretch cotton twill from Stonemountain and Daugther Fabrics. I bought it online after Christmas last year, but they still have it in stock here. Its a really great fabric and I’d highly recommend it if you’re in the market for some great bottom weight stretch twill. It comes in some other colors as well. These are basically my dream skinny trouser and I’m really wanting to make another pair for winter. I have some more of the stretch jacquard velvet from this jacket left and I’m contemplating a full length version minus the pockets and back welts. What do you think?